Discounted Pricing: Contact us for group discounted rates. We can deliver courses at one of our facilities or onsite at your location. A wide range of IT auditors, IT managers, IT quality professionals, IT leadership, IT developers, process practitioners and managers in IT service providing firms, business managers. You will receive a printed copy of the classroom presentation materials and the printed course book, which contains additional reference material, such as the syllabus, glossary, process reference guide and the mock exam. You can download or purchase a hard copy of the ISACA COBIT 5 Implementation Guide from the ISACA Web site, www.isaca.org. 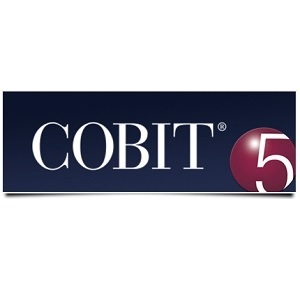 – The COBIT 5 Implementation examination paper consists of three booklets: the scenario booklet, question booklet and the answer (sheet) booklet. In total, there are four questions, each testing one syllabus area, in various formats (multiple choice, multiple response, matching responses and evaluating statements). – The pass mark for the Implementation exam is 50%. Each of the four questions contains 20 question lines, each of which attracts 1 mark, giving a total of 80 marks. Each of the four questions will be sub-divided into parts. Each of these ‘part-questions’ will identify the portion of the 20 marks allocated to it. – The exam is 150 minutes in duration. – You may reference their copy of the Implementation Guide during the examination. C. What Are the Drivers? D. Where Are We Now? And Where Do We Want to Be? – What needs to be done? And How do we get there? F. Did we get there? And how do we keep the momentum going?